Crypto comes to the fast food world as KFC Canada introduces the Bitcoin Bucket, a meal for $20 worth of the digital currency. There are some brands that have become incredibly iconic over the years. One such brand is Kentucky Fried Chicken, or KFC for short. KFC has spread from a regional chain to franchises spanning the globe. Their “finger lickin’ good” food has been devoured by millions of loyal customers. Now their famous fried chicken is getting a crypto boost as KFC Canada has rolled out the Bitcoin Bucket. In a really awesome marketing ploy, the Canadian branch of the fast food company is jumping on the cryptocurrency bandwagon in a clever way. The Bitcoin Bucket rolls off the tongue and is very catchy. 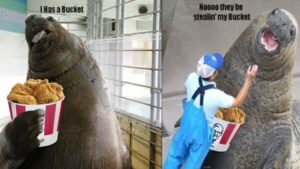 People can pick up the new bucket by spending the equivalent of $20 in the virtual currency. The meal comes with 10 original recipe chicken tenders, waffle fries, a medium side, gravy, and 2 dipping sauces. This is a pretty tasty meal, even though I would be bummed as it doesn’t come with biscuits. I am jealous that it does feature waffle fries, a menu item that has long been vacant where I live. While the Bitcoin Bucket in itself is interesting, it’s the tweets put out by KFC Canada that are really the icing on the cake. The various tweets are really funny and show that whoever is behind the campaign knows how to keep people engaged. Sure, we don’t know exactly what Bitcoins are, or how they work, but that shouldn’t come between you and some finger lickin’ good chicken. That’s 0.000662 herbs and spices in Bitcoin. Avoid bucket FOMO. Invest now! #BitcoinBucket is currently sold out. There will be a restock tonight. We’re mining for more as fast as we can. 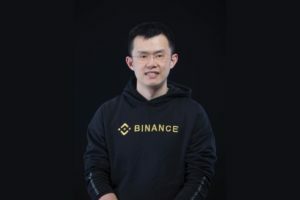 The latest, and likely first, venture into the crypto-chicken space. According to the website, the Bitcoin Bucket is currently sold out. However, a recent tweet says that more buckets are on the way, which means that the promotion was very successful. This marks the first time that a parent restaurant company is accepting cryptocurrency. There have been specific franchises in the past that have done so, such as Burger King Arnhem. A recent trend is food companies creating their own coins to expand loyalty programs and take advantage of the blockchain system. Companies that have done this include Burger King Russia and Hooters. 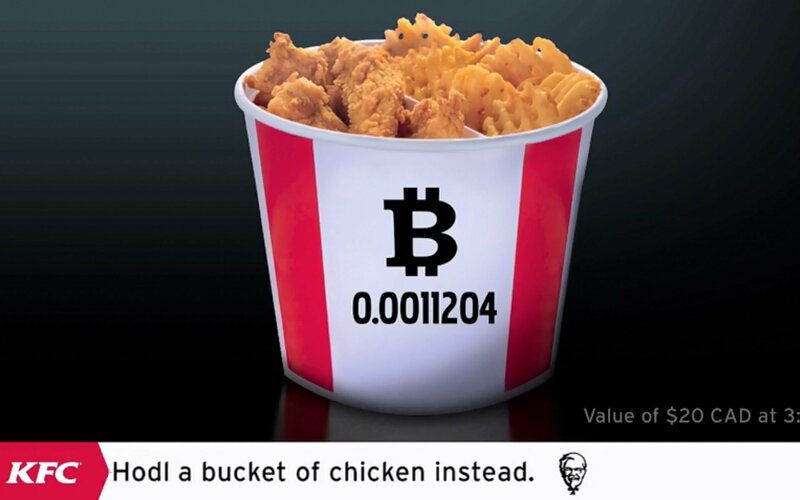 What do you think about the KFC Bitcoin Bucket promotion? Are you now hungry? Let us know in the comments below. Images courtesy of KFC Canada and Twitter/@kfc_canada.